Native Nursery has partnered with a local nursery and our plants are now available at the Maui locations of Loweʻs, Home Depot, and Wal-Mart. Native Nursery now ships with FedEx for small inter-island orders. Need native plants in a hurry? No problem. 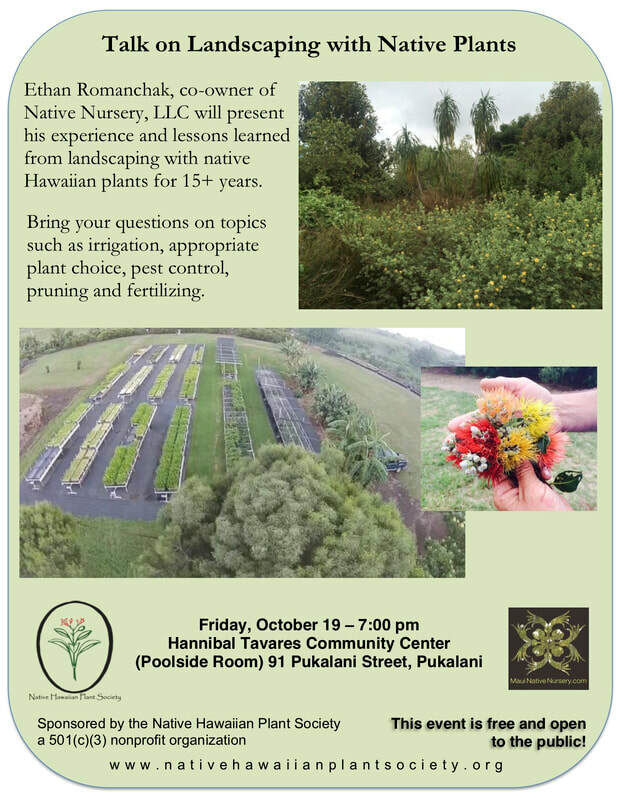 Topic: "The Propagation and Production of ʻŌhi'a lehua for Retail, Landscape and Reforestation"
Kalo collection at Native Nursery is near complete thanks to CJ sharing... 1 gallon pots of most known varieties available soon!! Tahitian Lime, seedless Tangerines, Navel and Valencia Oranges, Improved Meyer Lemon, Grapefruit and Mineola Tangelo ready now! New Shipment of T-shirts just arrived! !